Esteban “Steve” Bellán was the first Latin-born player in professional baseball. While Roberto Clemente, Tony Perez, David Ortiz, and Mariano Rivera, among others, are household names and heroes to both Hispanic and non-Hispanic baseball fans in the early years of the 21st century, the name of Steve Bellán is mostly unrecognized. 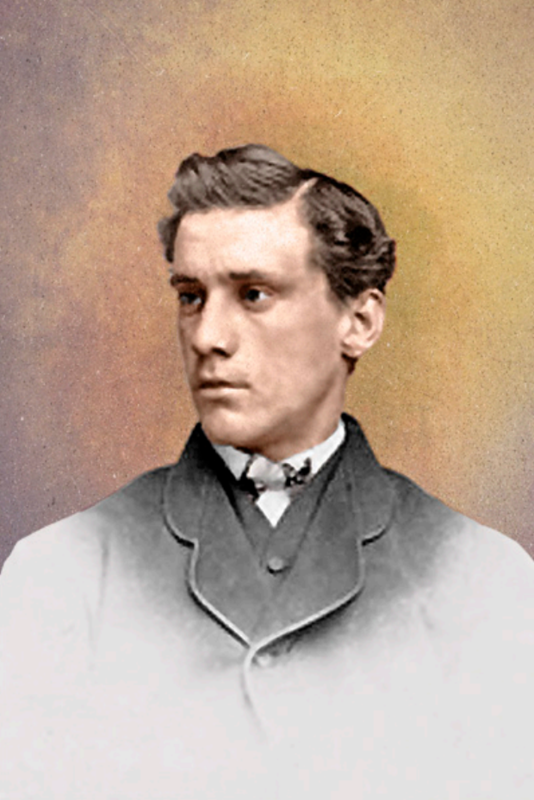 The half-Irish, Cuban-born player was light-skinned enough to pass through the racial prejudices of the National Association of Baseball Players, which at its 1867 convention voted to bar black clubs (“any club which may be composed of one or more colored persons”) from entering the league.1 Bellán played for the Unions of Morrisania in 1868. Nicknamed “The Cuban Sylph” for his fielding skills, mainly at third base, Bellán was a weak hitter with a .251 career batting average in 60 games, but on August 3, 1871, he had the game of his life. Some 3,000 spectators arrived at the Haymakers’ Grounds with “the expectation that the occasion would be marked by one of the finest displays of the beauty of ball tossing science,” wrote the New York Clipper.2 George Wright returned to the Boston lineup for the first time since he injured his leg on that very field in May. Charlie Sweasy of the Washington Olympics was the umpire for the game. The Boston Red Stockings were 10-7-1 and 4½ games from first place. Troy was 7-7-1 and six games behind. Albert Spalding of Boston would oppose John McMullin of Troy. Both pitchers started every one of their team’s games that season. Boston batted first. George Wright singled to left-center and made it to second on an error by Tom York. Ross Barnes walked. As Dave Birdsall struck out, Wright took off for third. Bellán began the game as the goat, muffing the throw from catcher Mike McGeary, ruining the double-play attempt and allowing Wright to score. Harry Wright singled to center and Barnes scored. Harry Wright scored on a double steal, and Boston had a 3-0 lead after the first inning. In the bottom of the second, the Haymakers got a run back when Steve King reached second on first baseman Charlie Gould’s error. Lipman Pike singled King to third. Bellán began his path to redemption by singling to right-center, scoring King. A double play ended the inning, with Boston leading 3-1. In the top of the third, a triple by Barnes and a single by Cal McVey gave Boston a 4-1 lead. The Haymakers erupted for five runs off Spalding in the bottom of the third. York singled and Dickie Flowers reached on an error by Harry Schafer at third. York scored on Clipper Flynn’s single, then King got a hit. Flowers scored on a passed ball by McVey, which then led to a comedy of errors. Pike hit a foul ball, but both runners, King and Flynn, “supposed that Pike was out, and started to take their fielding stations,” wrote the Troy Times.3 In the rules of the time, runners had to hurry back to their bases on foul balls at the risk of being put out. But a “series of wild throws to bases by Spaulding [sic]”4 in overthrowing bases allowed both King and Flynn to score. Pike reached on a hit, and another bad throw by Spalding put him at second. Pike made third on another passed ball, and scored on Bellán’s single past George Wright at shortstop. Only one run of the five was earned. Troy now led 6-4 after three innings. Spalding was obviously having a bad day, so Harry Wright decided to pitch and moved Spalding to center field in the fourth inning. McVey, also having a bad day, was replaced behind the plate by Birdsall, McVey moving to right field. The Haymakers offense didn’t let up, however, as York and Flowers both scored in the fourth, giving Troy an 8-4 lead. Boston scored two runs in the seventh inning as Fred Cone scored on George Wright’s double, Wright took third on an error, and he scored on a fly ball by Barnes. Boston had cut the lead to 10-8. Again the Haymakers countered, scoring three runs for a 13-8 lead. A muffed fly ball by Harry Wright was followed by a walk to McMullin. Bellán launched a triple to the center-field fence, scoring both runners. Bill Craver’s fly ball scored Bellán. Bellán was 5-for-5, and “made either first, second or third base hits every time,” reported the Troy Times.10 After his brief professional baseball career (1871-1873), Bellán returned to Cuba and played in his native land’s first recorded organized baseball contest in 1874. Professional baseball began in Cuba four years later, and player-manager Bellàn led Havana to the championship,11 “warming the native people to the sport that would eventually consume a nation.”12 Maybe he told them tales of the day he went 5-for-5 in Troy, New York, and even the great Albert Spalding couldn’t get him out. 1 For more on the 1867 National Association of Base Ball Players, see MLB historian John Thorn’s November 12, 2012, blog entry “The Drawing of the Color Line, 1867” in https://ourgame.mlblogs.com/2012/11/12/drawing-of-the-color-line/. 2 “Haymakers vs. Boston,” New York Clipper, August 12, 1871. 3 “Thrashing the Reds,” Troy Daily Times, August 4, 1871: 3. 7 “The National Game,” Troy Whig, August 4, 1871. 11 “Cuban Baseball Yesterday,” https://pbs.org/stealinghome/history/. 12 Brian McKenna, “Steve Bellán,” SABR BioProject, https://sabr.org/bioproj/person/78dbf37d.